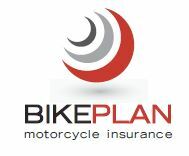 The BikePlan CycleShort policy is designed to meet the needs of motorcycle users and covers motorcycles, scramblers, scooters and quads with a carrying capacity greater than 50cc as well as motorcycle trailers as specified in the Schedule of Insurance. A shortfall is the last thing anyone wants when you have to claim from your insurance. Why get left in a predicament that you don’t need to be in? Get a BikePlan CycleShort policy today by filling in the form below and our professional call centre agents will be more than willing to assist you.